Our plastic blow molded hubs can have significant advantages over injection molded hubs with regards to design flexibility and weight savings. 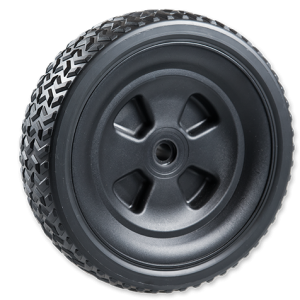 The all plastic hub can then be fitted with a Tread Cap™ tire completing a true lightweight no flat wheel option. CEW specializes in high-volume orders.